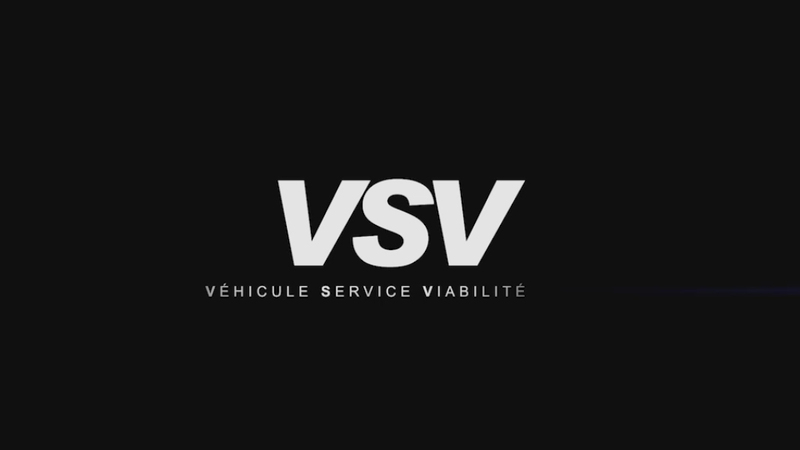 The VSV if the first vehicle to be fully designed, developed and built for maintenance professionals. 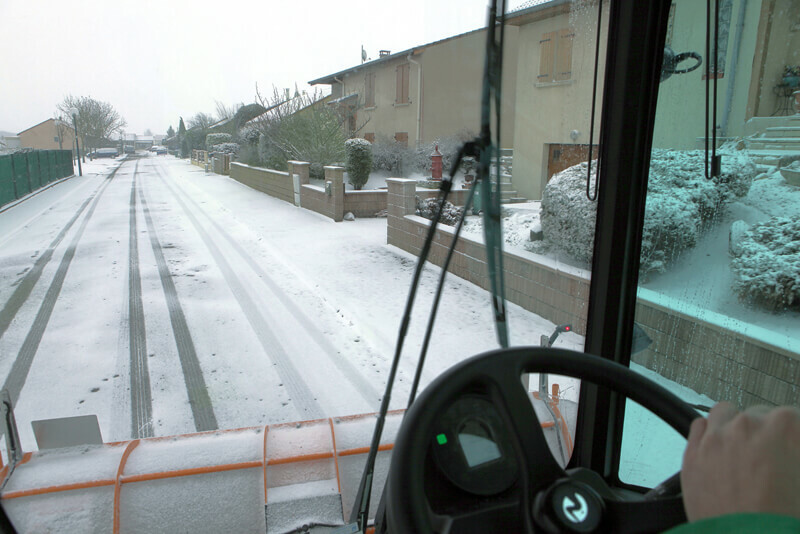 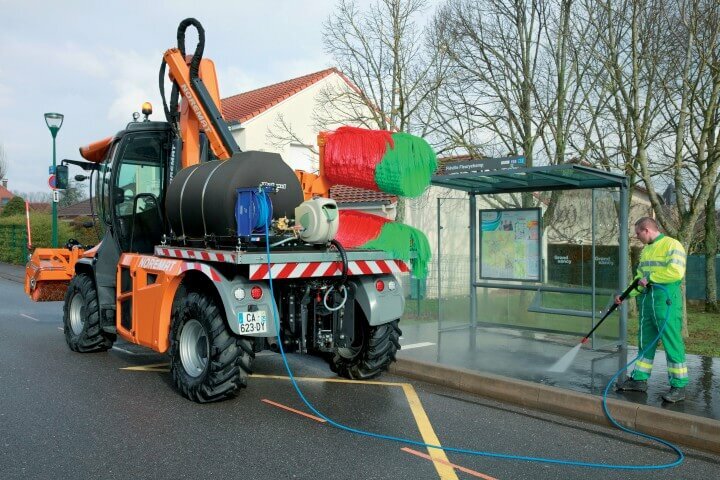 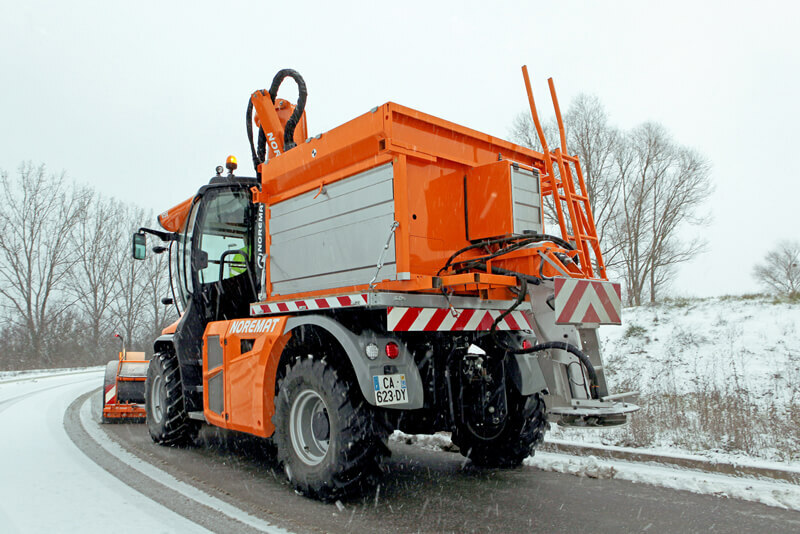 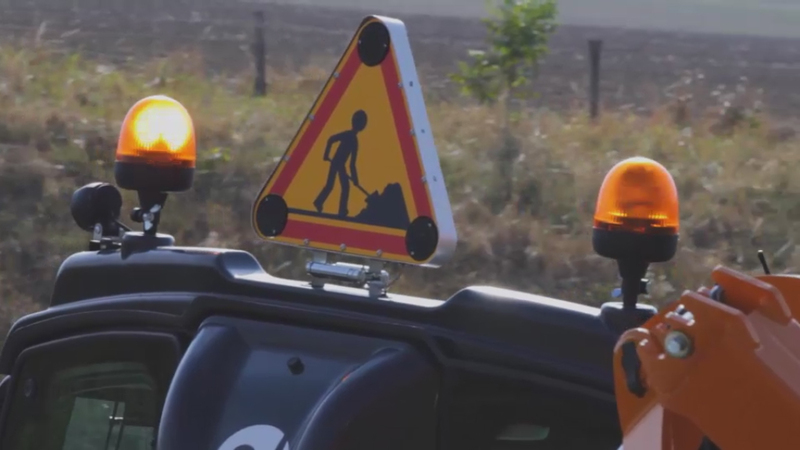 The VSV cab, specially designed for roadside maintenance specialists. 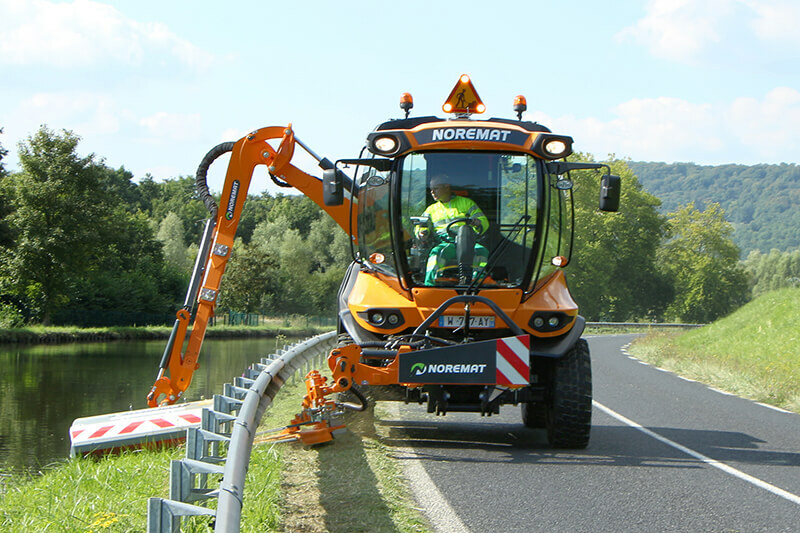 Roadside maintenance is a tough business, one which demands a fine touch at all times. 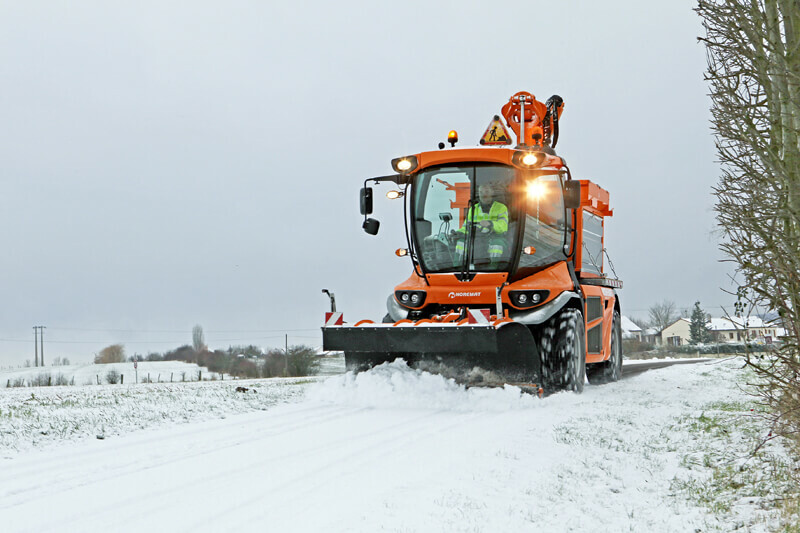 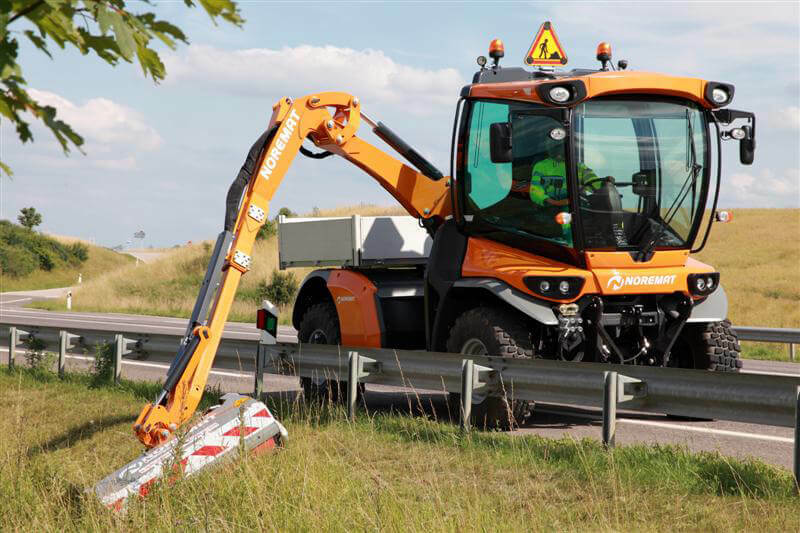 This deserves a specially-designed cab to enable operators carry out their tasks under the best safety, efficiency and profitability conditions. 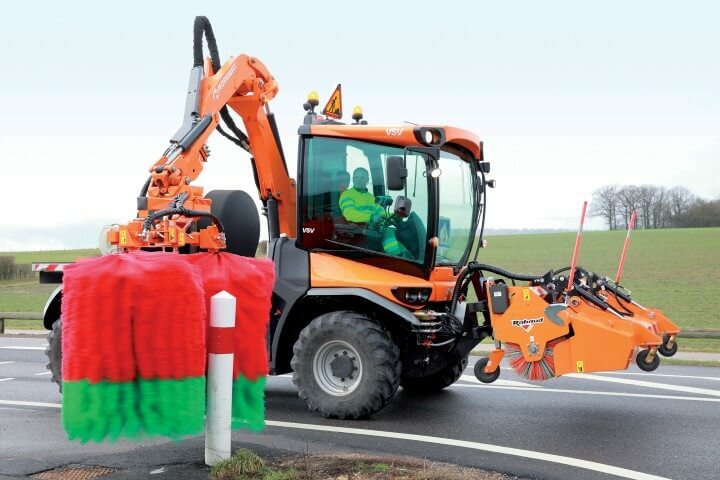 When it comes to safety, comfort is not a luxury, but the guarantee of precise work throughout the day. 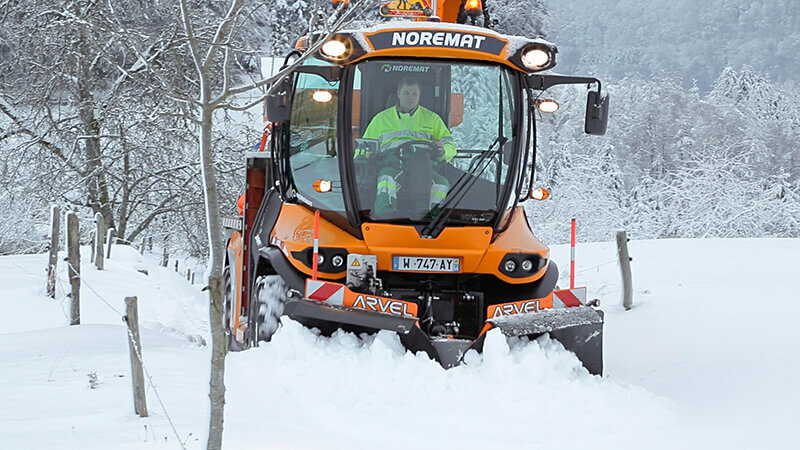 Front cab offering perfect visibility. 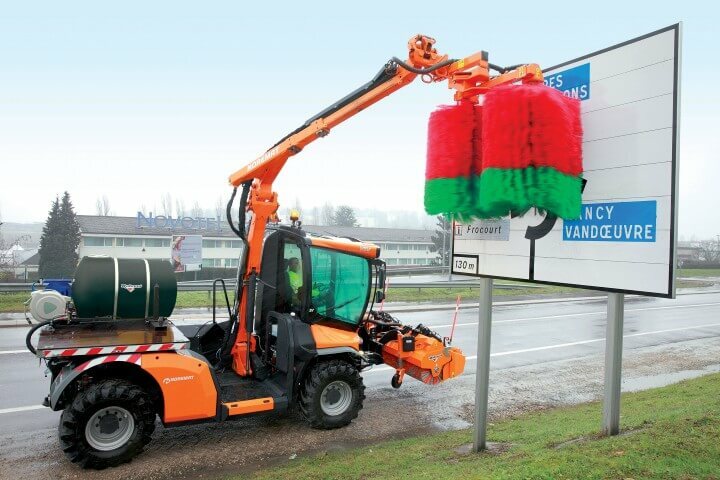 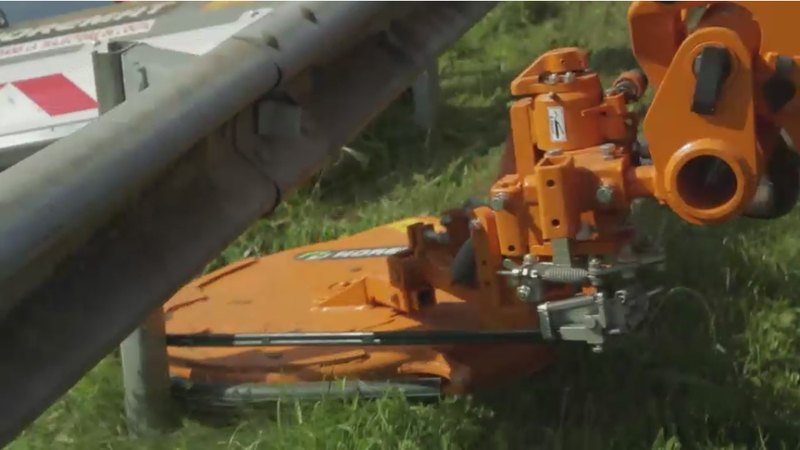 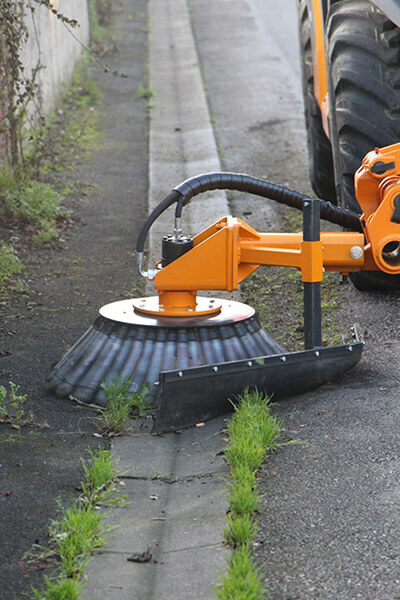 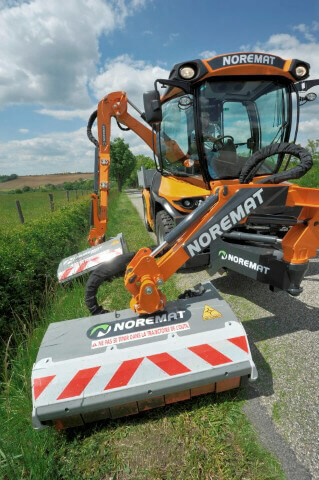 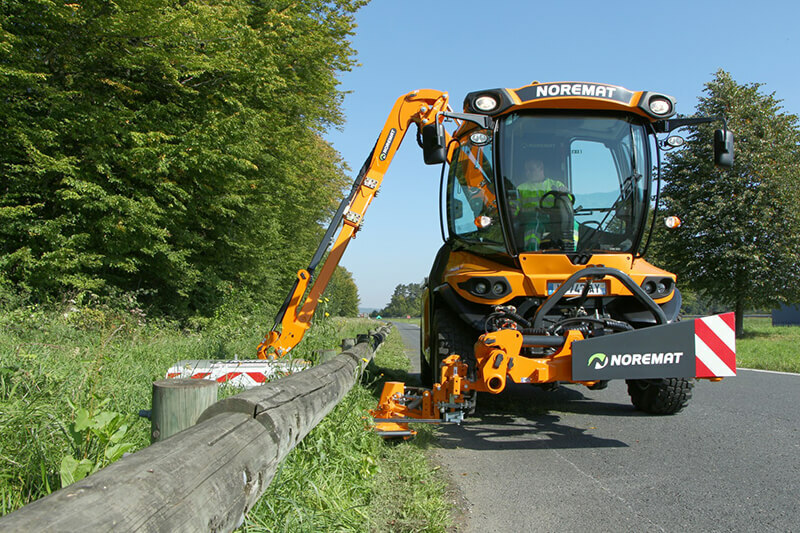 Compact arm which frees up the front and rear of the vehicle for multiple applications. 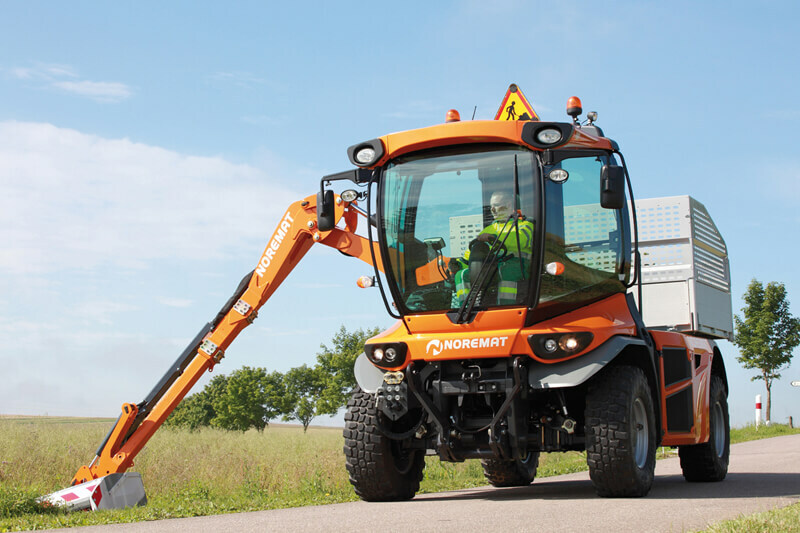 The cab, arm and engine are positioned to provide the ideal response the vehicle's visibility, stability and multi-functionality requirements. 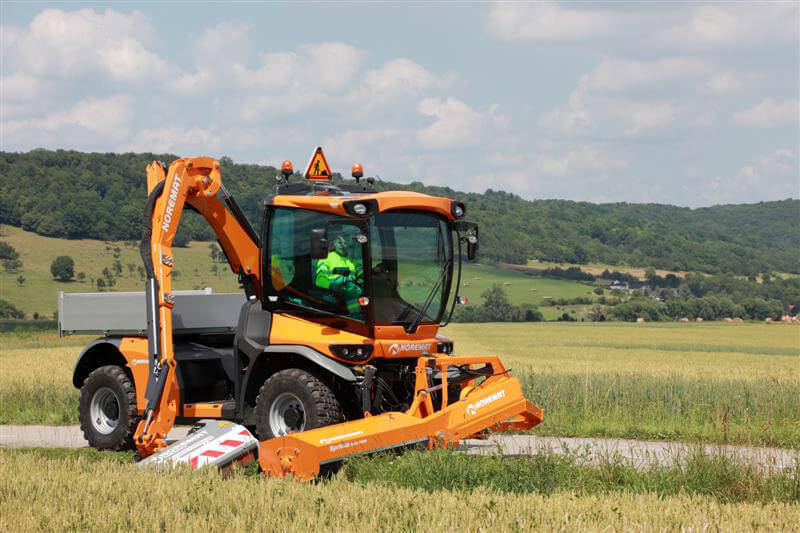 With its arm positioned behind the cab, the VSV can carry out cutting work, drive a turbine and pull a trailer at the same time. 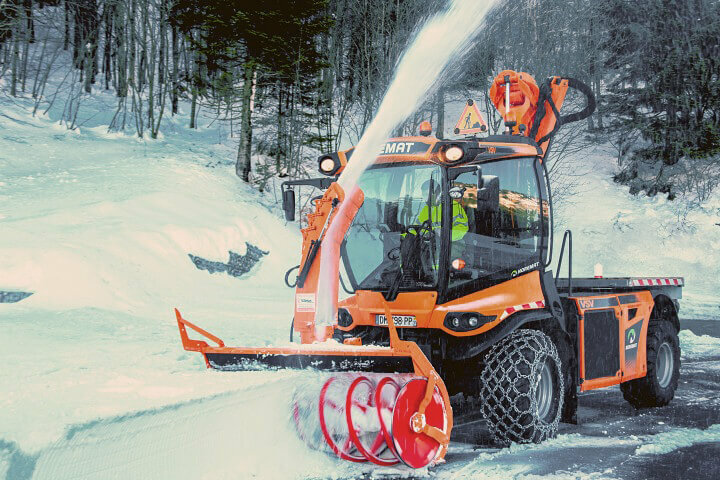 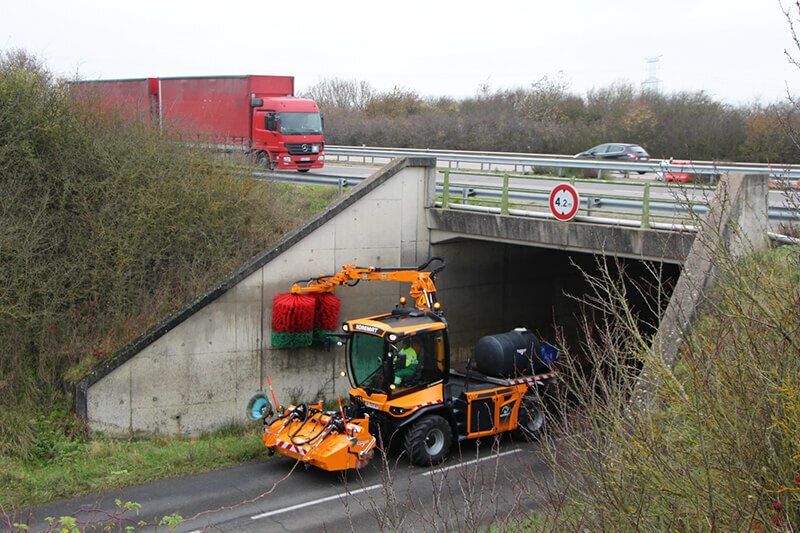 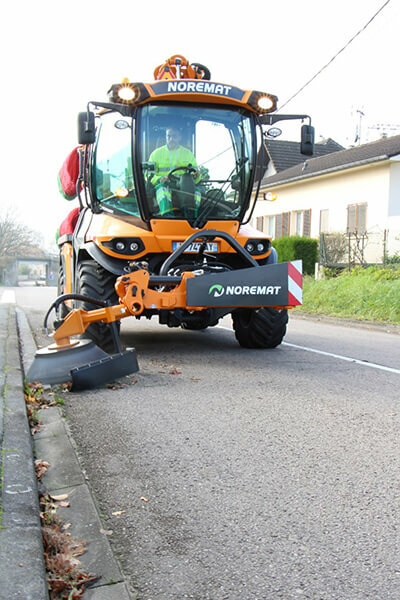 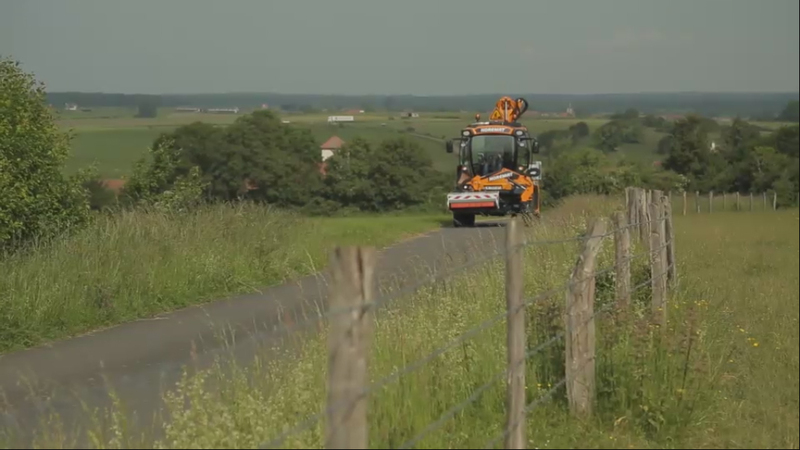 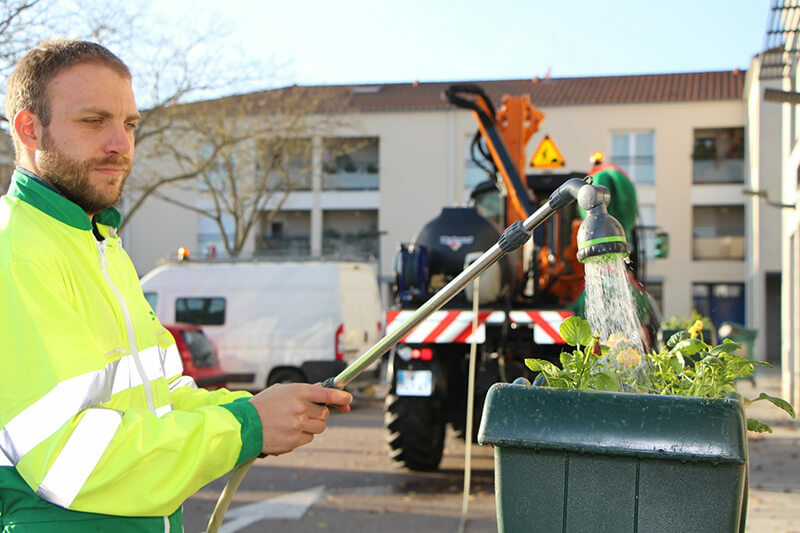 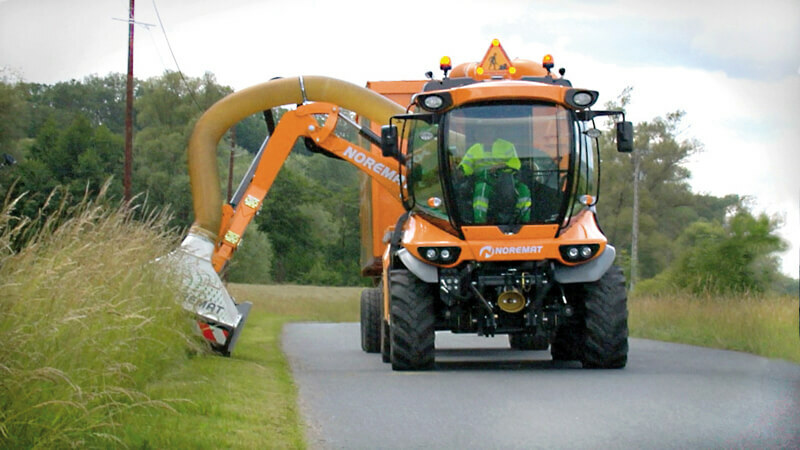 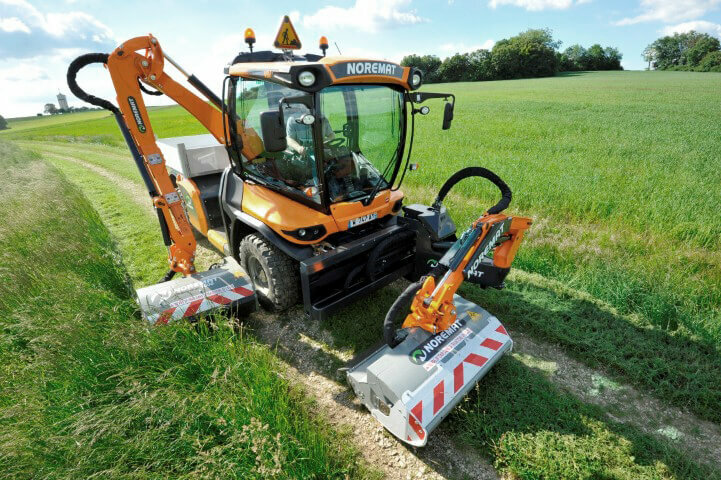 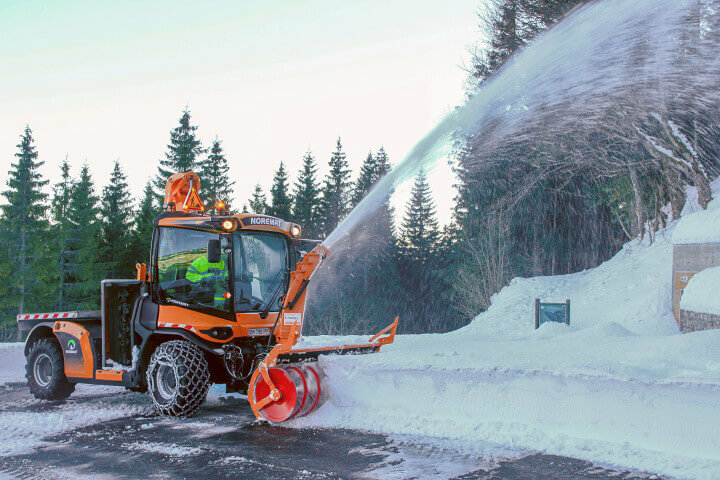 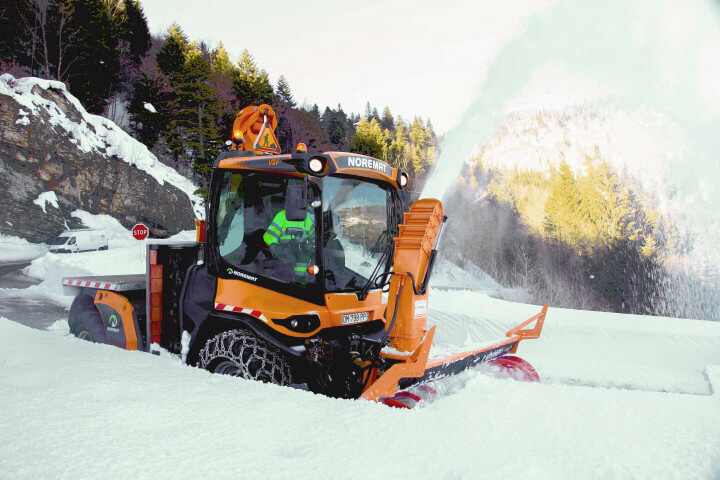 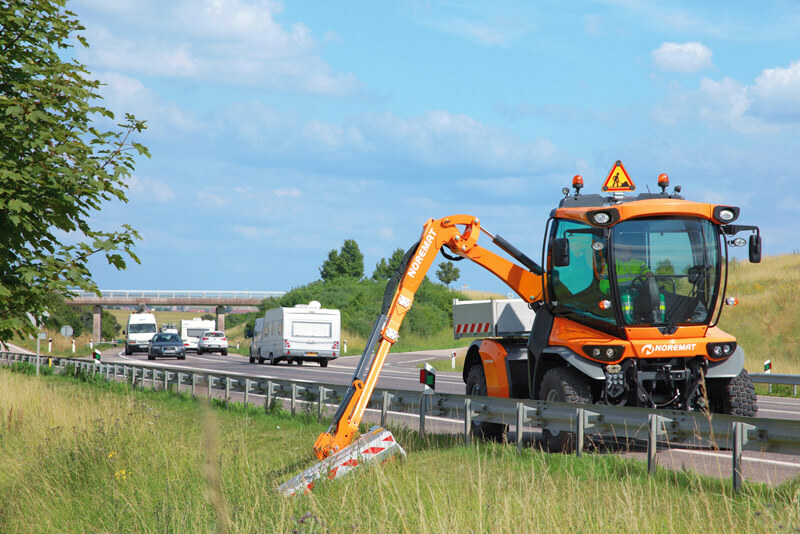 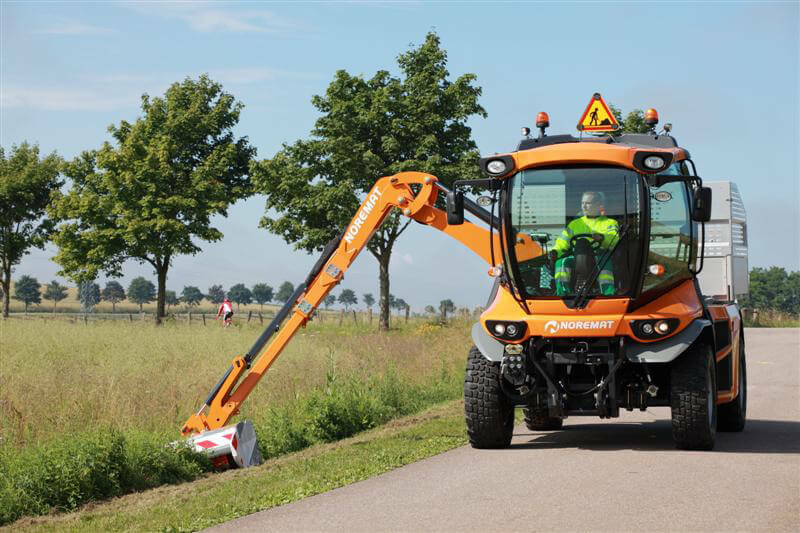 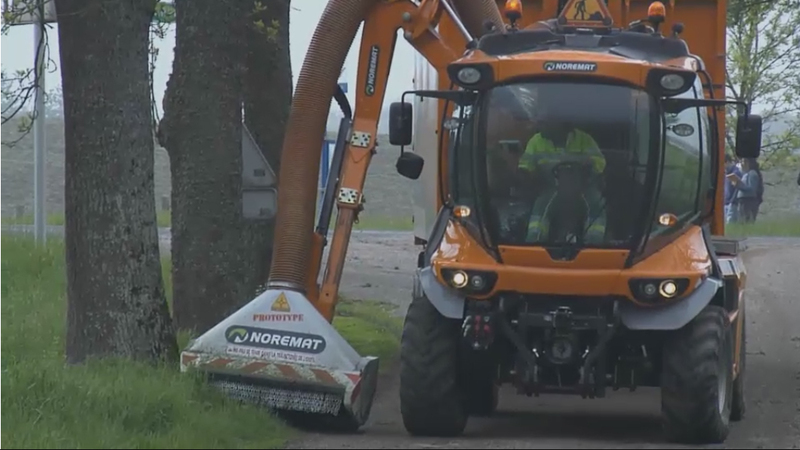 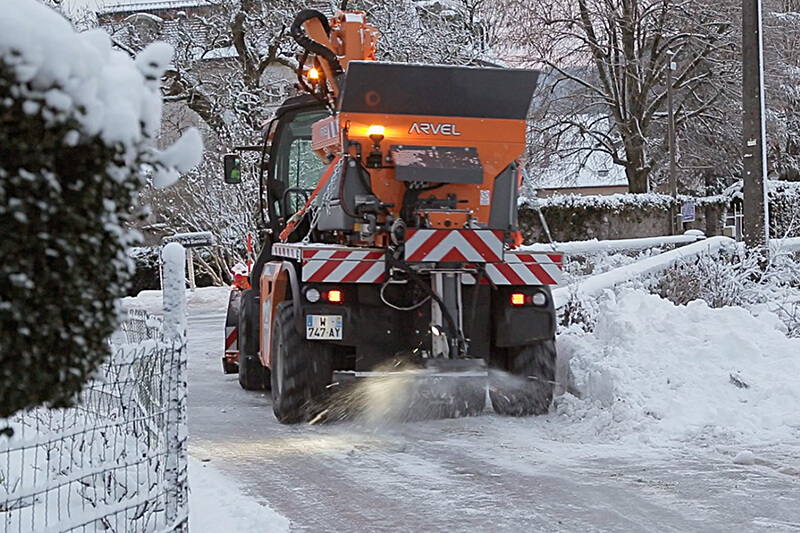 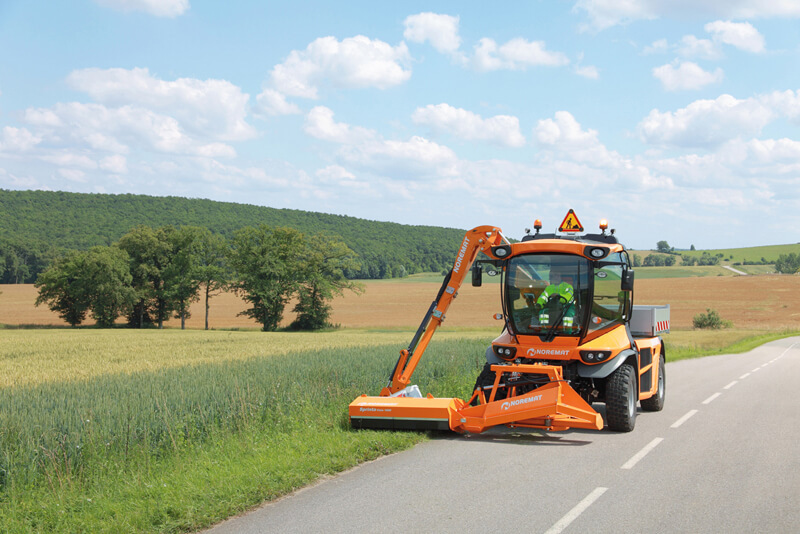 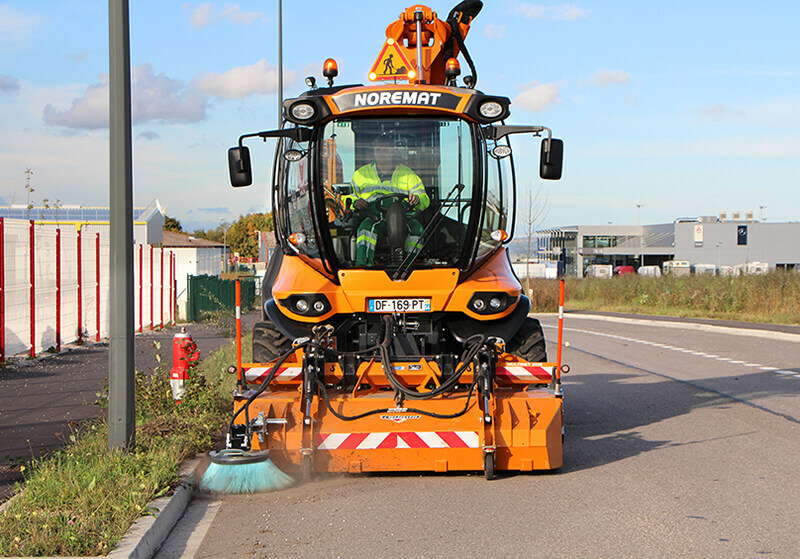 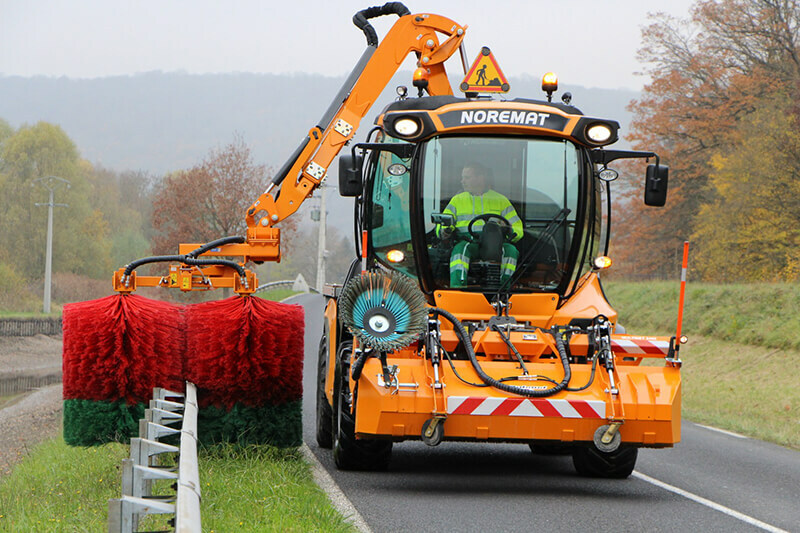 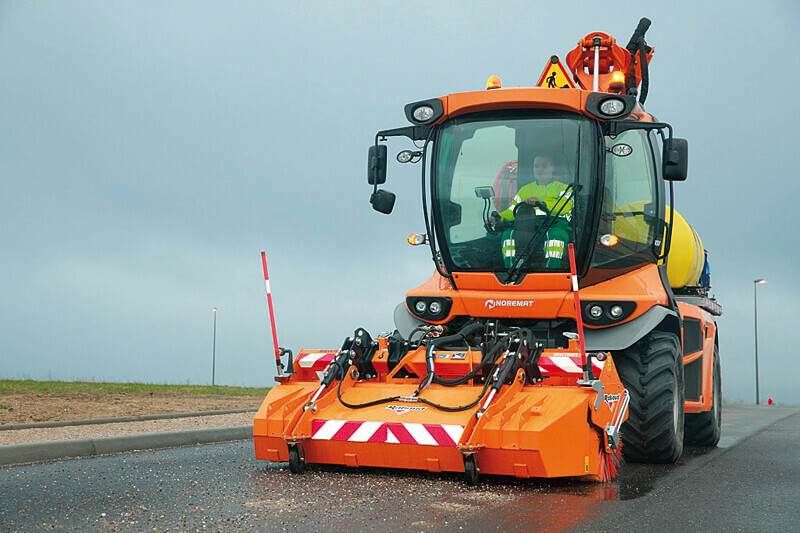 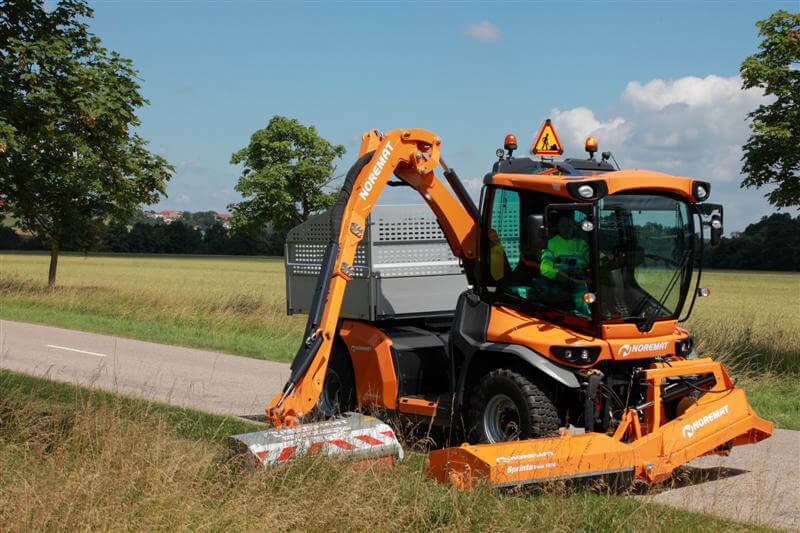 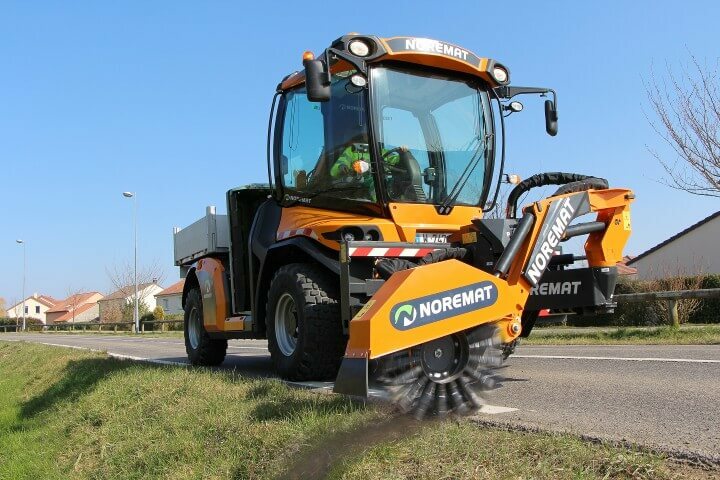 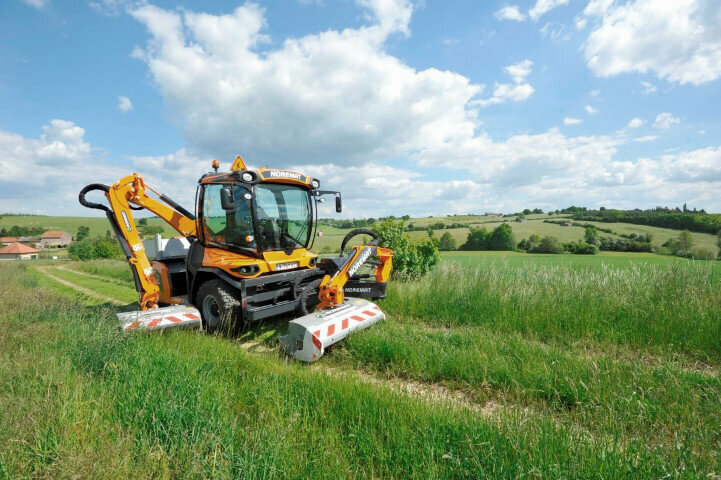 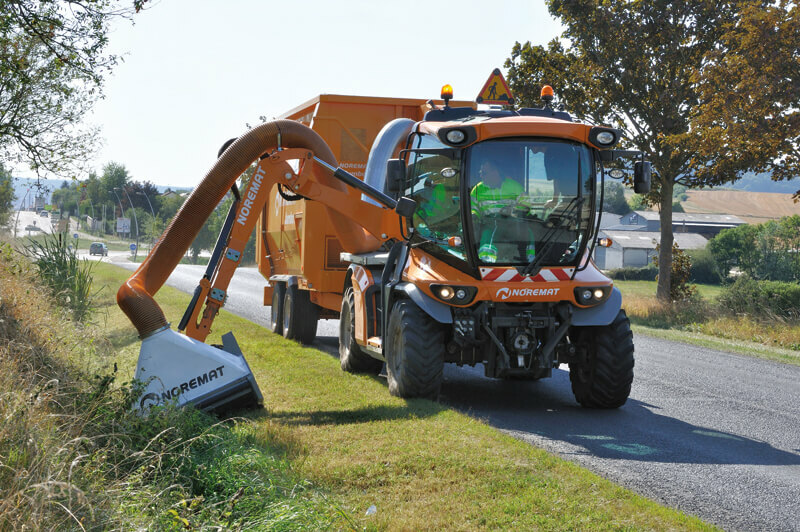 Ideal for targeted cutting and biomass collection activities, the VSV is the right vehicle for roadside maintenance tasks. 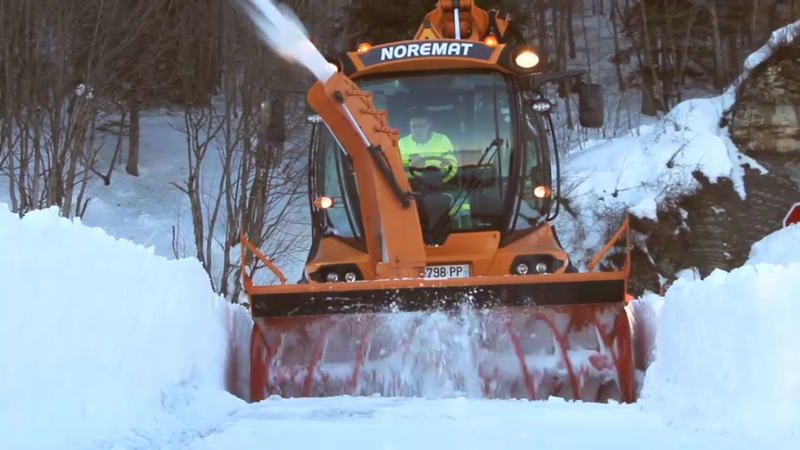 It only consumes exactly what it needs. 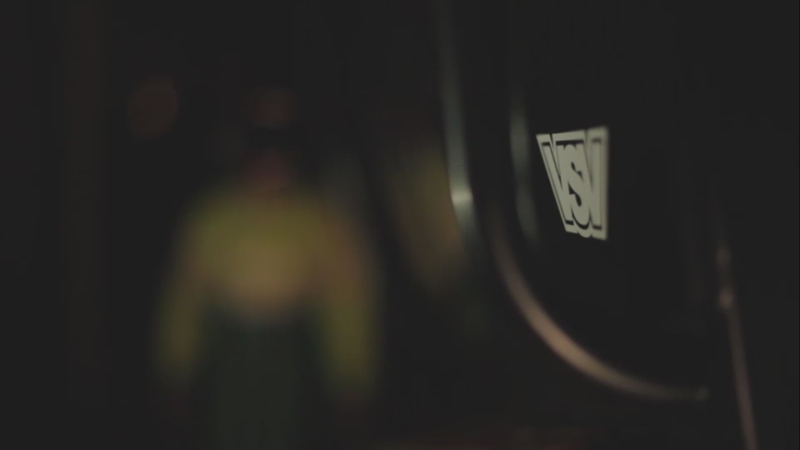 Discretion is one of the VSV's key character traits. 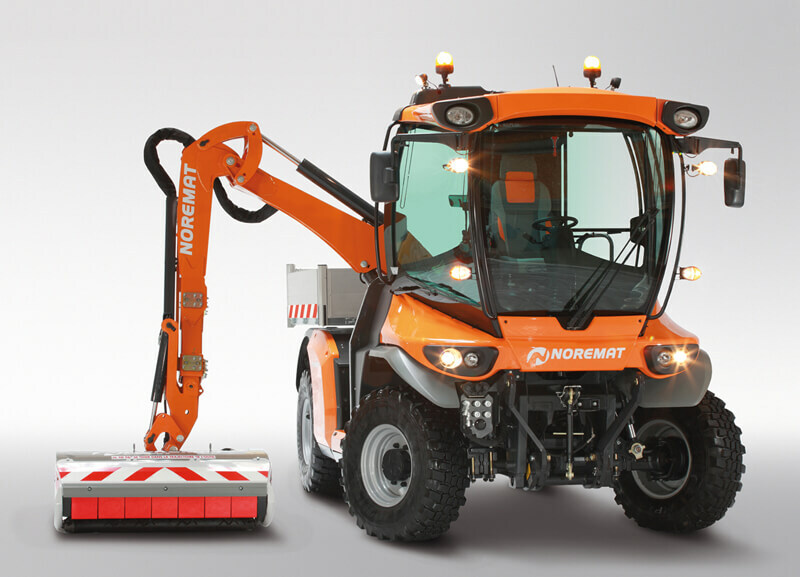 Depending on the tool selected, the VSV adapts the engine's configuration to provide the right power at the right speed. 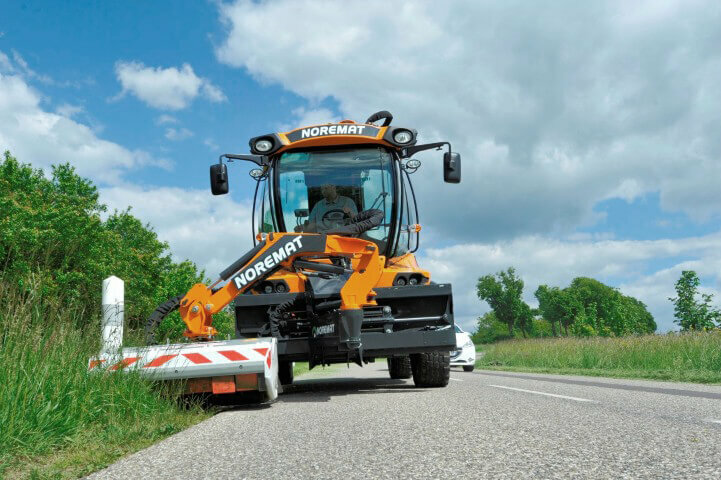 Hinged covers for immediate access to engine and cooler compartments. 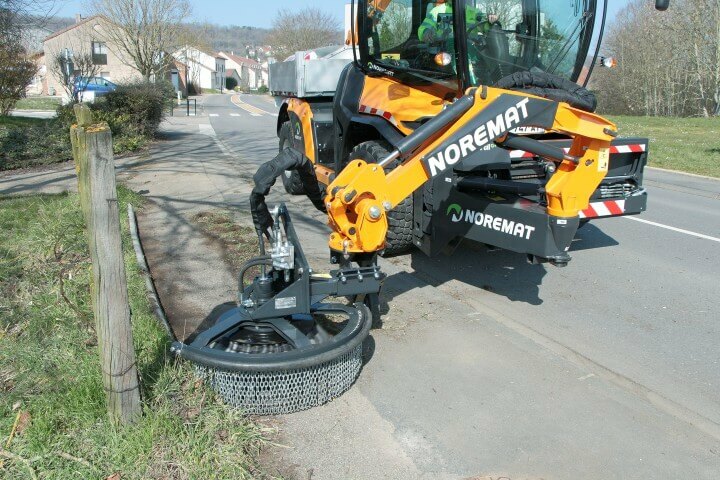 Spacious and accessible tool unit, specific compartment for grease cartridges, quick access to greasers, filters, oil holding tanks, water tank and so on. 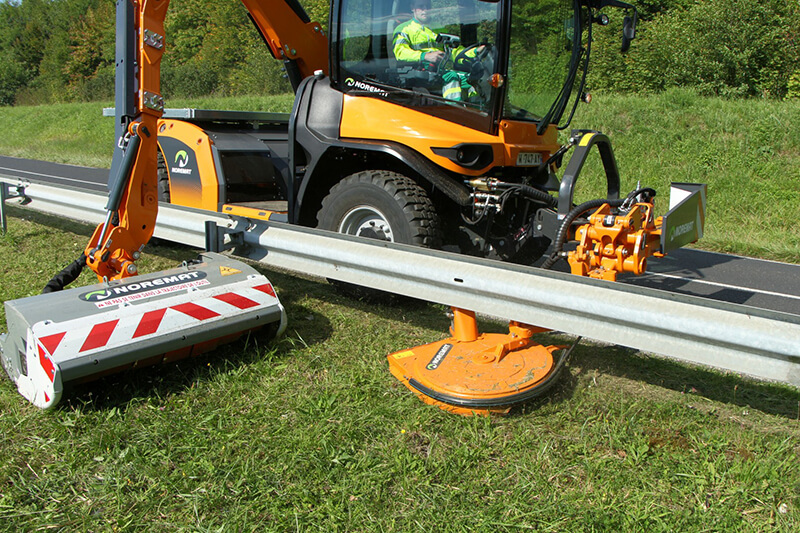 Everything has been organised for easy maintenance to extend the VSV's lifetime and increase its profitability. 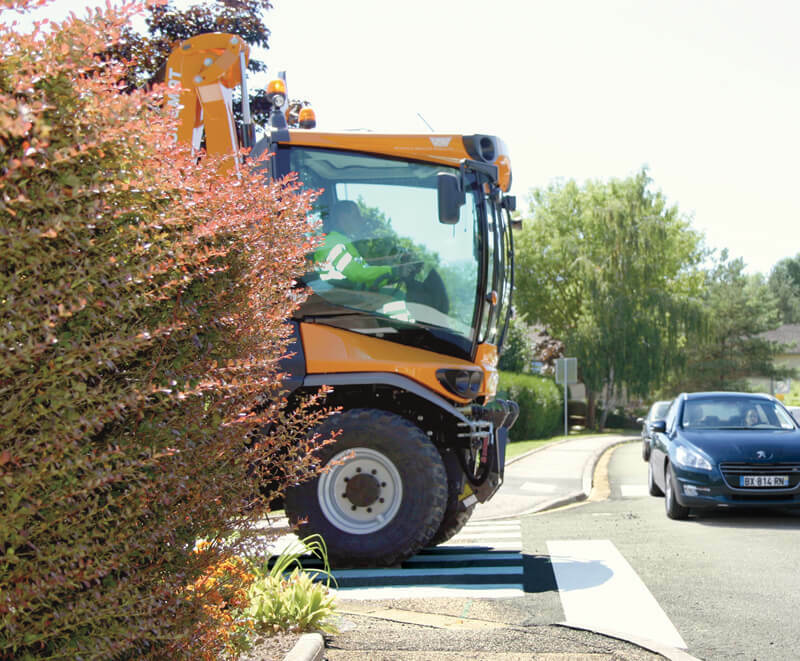 At crossroads with low visibility, passing through town and in the countryside, the driver can see whether they can move off while remaining safely behind the stop line. 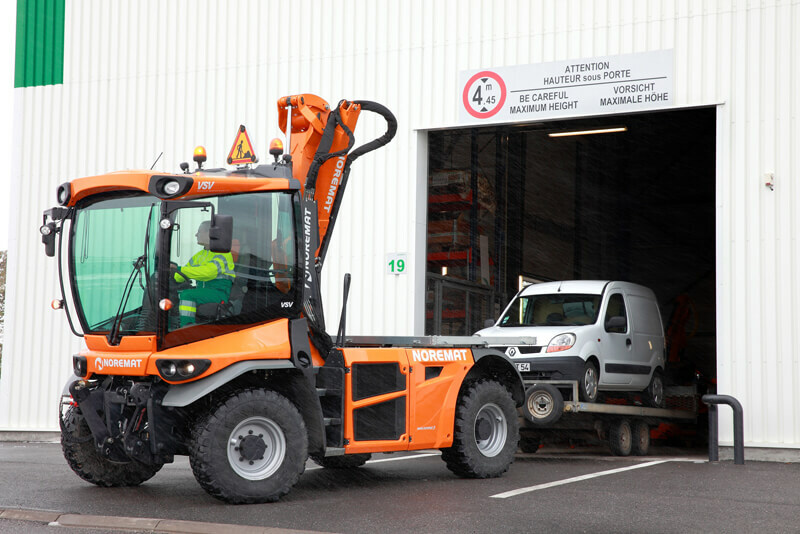 By design, the sound level in the VSV cab is exceptionally low. 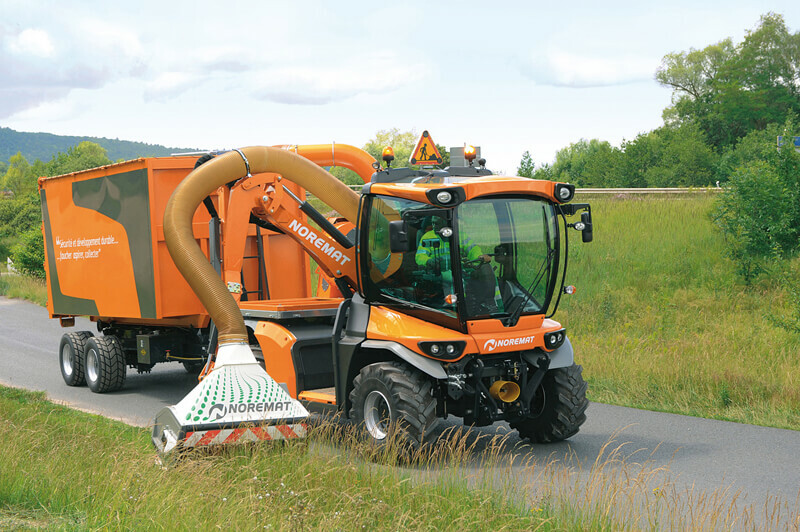 The engine is far from the cab and its vibrations are dispersed simply by a series of silencers. 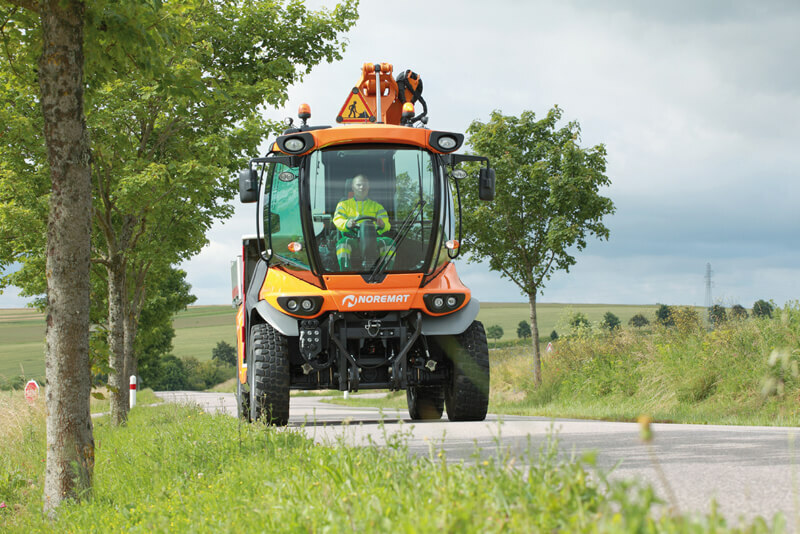 Results: less fatigue, a constant level of attention for the driver and more safety. 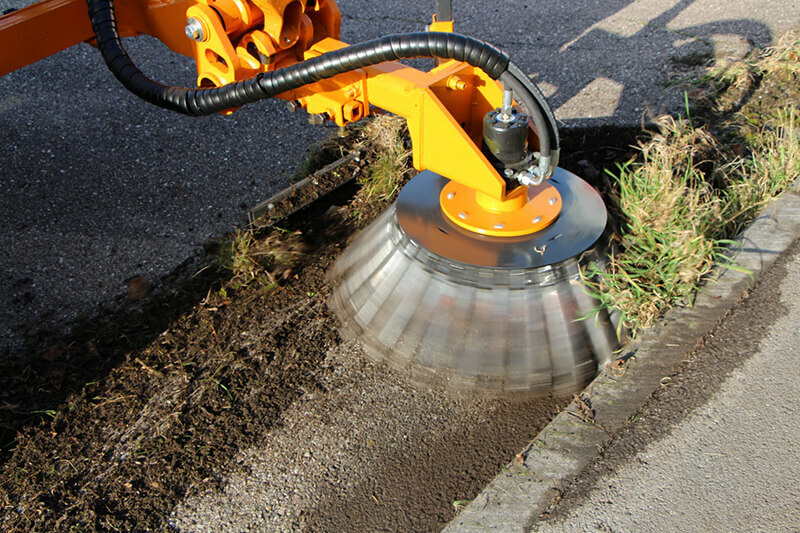 The upper lights are used when the lower lights are hidden by a front tool. 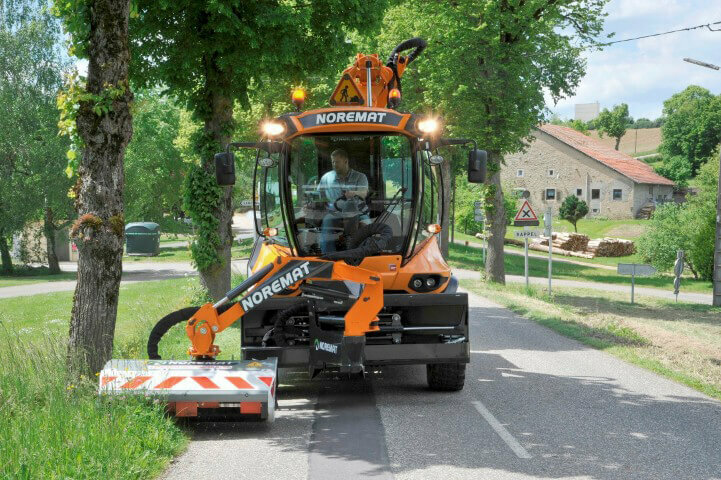 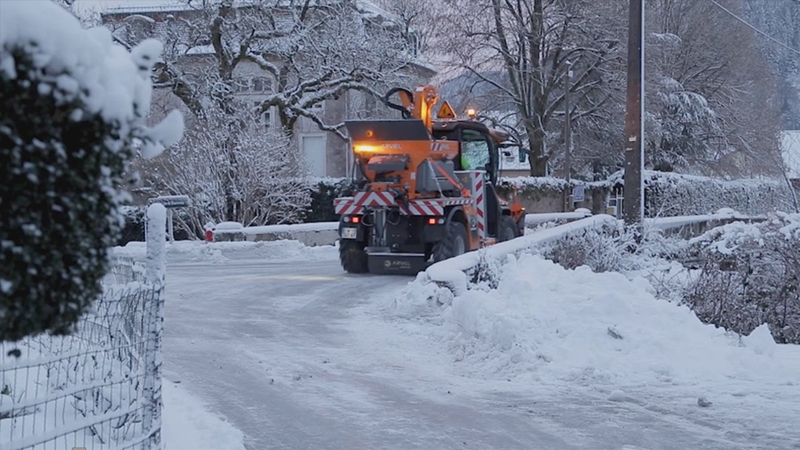 With LED lights and 4 powerful working headlights that can be turned to suit your needs, the VSV can be operated perfectly safely at night with excellent visual comfort for the operator.